“Have you seen Hamilton yet?” It’s the question often heard around Salt Lake these last few weeks since the first touring production of of the Broadway musical came to town. In the Tony and Grammy award-winning musical created by Lin-Manuel Miranda, Hamilton follows the history of Alexander Hamilton, one of America’s Founding Fathers, the primary author of The Federalist Papers defending the Constitution and America’s first Treasury Secretary. But he was most known for his prolific writings. “Every day you write like you’re running out of time. Earlier this year, Utahns queued online for hours to snag tickets to the production running April 11 through May 6 at the new Eccles Theater downtown. Thousands missed out and even price was perhaps only a slightly limiting factor for fans who wanted to be in the room where it happens here in Salt Lake. I, on the otherhand, continued to listen to the original cast soundtrack and wanted to see the phenomenal production outside of the Beehive State—concerned that the traveling production coming to Utah would be second-tier quality and I would be throwing away my shot to see the best Hamilton I could. 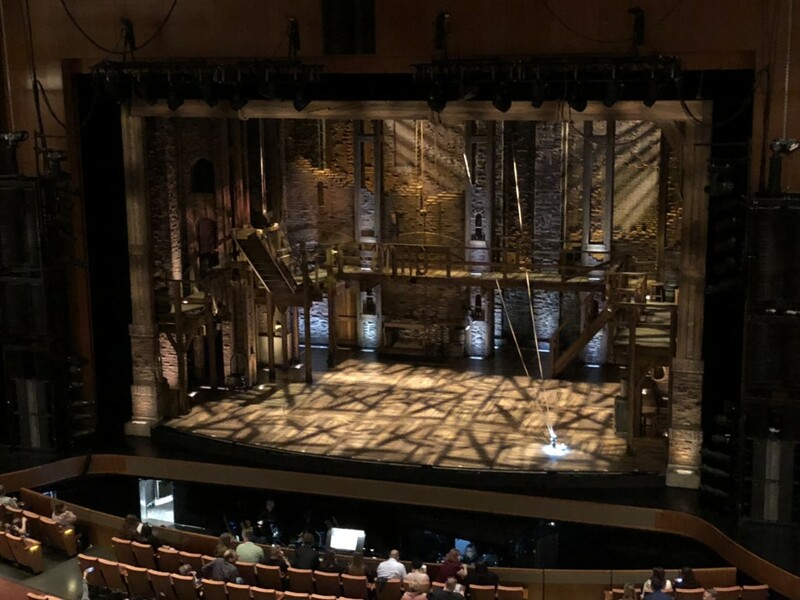 Early in 2018 I traveled to San Francisco, Los Angeles and Seattle but in each location Hamilton had already lowered the curtain. 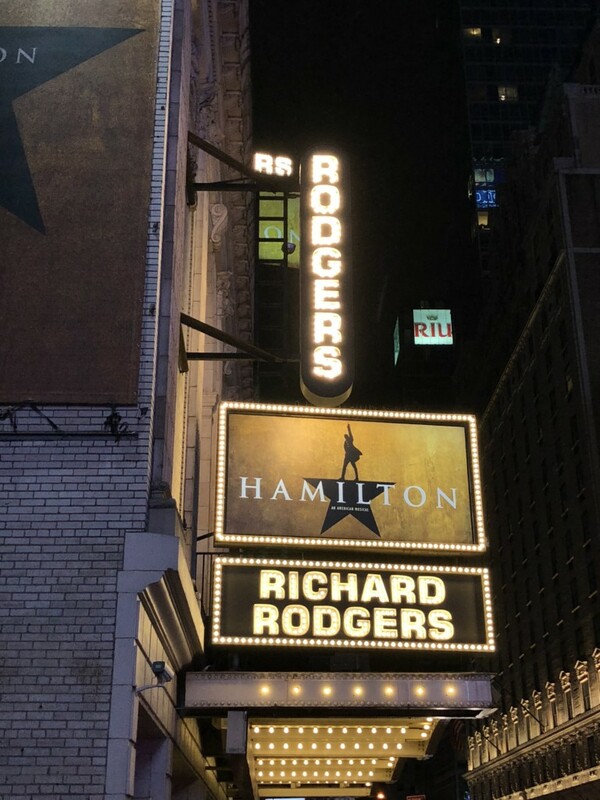 So, on a business trip to New York in February, I scooped up a single ticket to see the Broadway performance at the charming and historic Richard Rodgers Theater. And I was hooked. When the Eccles Theater released thousands of tickets days before Hamilton was set to open in Salt Lake I snatched a pair for my mom and I. But would it live up to my recent memories on Broadway? My answer was to come on April 22. When Nik Walker, singing as Aaron Burr, sung the first lines of “Alexander Hamilton,” I knew I was once again in for a stratospheric experience as this Burr was already superior to the New York offering. His role as narrator and villain continued to impress with convincing cockiness as he belted out on of my favorite songs, “The Room Where It Happens” sending chills down my spine once again. Kyle Scatliffe played Lafayette in Act 1 and Thomas Jefferson in Act 2 and excelled at hip hop and rap execution in “My Shot” and “Cabinet Battles 1 and 2.” While the New York version of Jefferson was more serious and stately, Scatliffe brought needed ego to the stage for a comical and spirited portrayal. Several lead characters like Ta’rea Campbell as Angelica Schuyler and her sister Eliza (Shoba Narayan) performed equally well in both casts during critical times—”The Schuyler Sisters,” “Helpless,” “Satisfied” and “Burn.” Wow. They blew us all away. “Who lives, who dies, who tells your story? 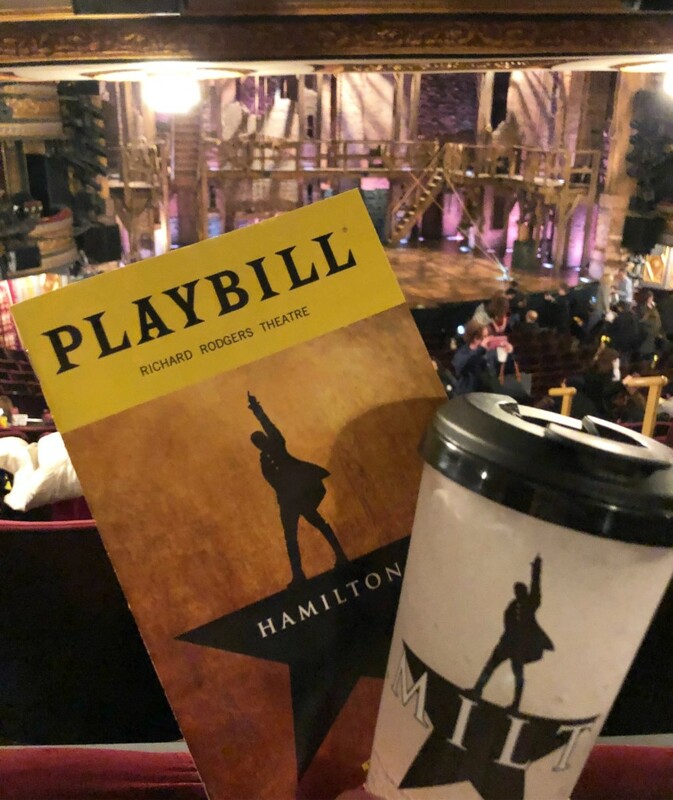 Whether in SLC or NYC, Hamilton is a masterful work of storytelling genius—part history lesson, part political statement—all neatly tied in an emotionally charged package of Broadway music unmatched by modern productions. Happily, as a Broadway musical lover, I’m ecstatic to report that the story of Hamilton the musical is one of the greatest productions I’ve seen in twenty-some years. It rises up to meet every expectation in either location. The daily lottery for $10 tickets continues through May 6 via the Hamilton app.